Listing your property on the Darrow Louisiana MLS is the best way to sell, and listing for a low flat fee is the best way to list on the MLS! List on the MLS just like all other listings, and only pay a commission if a buyer agent brings you a buyer. 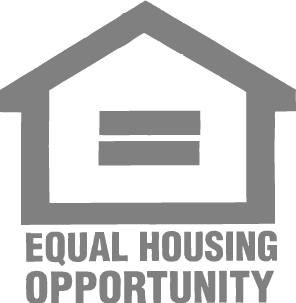 If you sell your property as a FOR SALE BY OWNER Darrow Louisiana, you pay no buyer agent commission, saving even more in commissions. I am a "Full Sevice" flat fee agent. When you list a property on the MLS in Louisana, the agent that list your property has to represent you. This means, we have go over contracts, counter offers and other sales contract related paperwork. All offers from agents must come through our office. Louisiana State Law does not allow the buyer's agent to negotiate (directly or indirectly) with the seller. We are with you from beginning to the very end. We are your agent. You can still sell as a FSBO if you like. With this package purchase, If the buyer is not working with an agent, we charge double the minimum service fee to take care of the paperwork on both sides. We will still represent you and the buyer will be a customer. When you list a property on the MLS in Louisana, the agent that list your property has to represent you. This means, we have go over contracts, counter offers and other sales contract related paperwork. All offers from agents must come through our office. 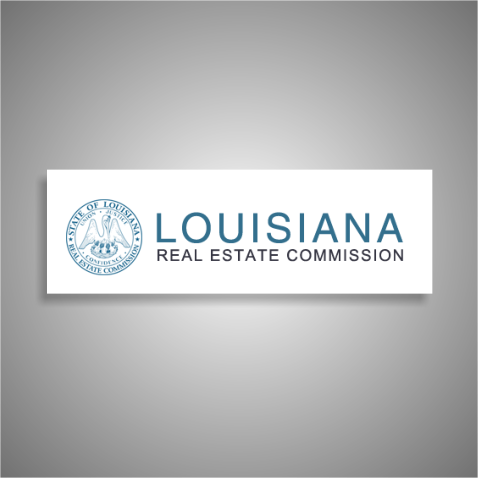 Louisiana State Law does not allow the buyer's agent to negotiate (directly or indirectly) with the seller. We are with you from beginning to the very end. We are your agent. You can still sell as a FSBO if you like. With this package purchase, If the buyer is not working with an agent, we charge the minimum service fee to take care of the paperwork on both sides. We will still represent you and the buyer will be a customer. Our ULTIMATE REALTOR® SUPPORT package is for sellers who want a listing till SOLD with broker contract review with advice and assistance with negotiations. This plan is a true FLAT FEE PLAN. All you pay to us is the listing fee. We include the minumum services in this plan at no additional cost from us at close. You will hve buyer agent commission that you offer due at close if there is an agent for the buyer. Max Number of photos vary per MLS. Listing term depends on listing plan. Property Flyer sent when listing is active and changes are made. This is how agents set appoints to show homes. This is how most listing appointments get set up from all agents. This is convenient for you & the showing agents. The minimum services are included in the Ultimate package with no minimum service fee due at close. True Flat Fee Listing. Frame not included with sign. Can be purchased at Home Depot or Lowes for about $15. Not available in all areas. * Buyer's agent will need to remove when sold. We will provide the removal code to you when asked. * We charge 1/2% of the sales price to handle negotiations with the buyer's agent. We discuss your responses and fill in the offers, counter offers and other seller response paperwork then send them for electronic signatures. We set up and send your response documents on offers, counter offers, repair request forms, etc through DocuSign for electronic signature. No need to print the documents, sign, scan and email or fax back. On the ULTIMATE package we send out a photographer to take 20 photos for your listing. The ULTIMATE package includes being Listed until sold. We will need to have an end date on the listing agreement, however, we do not charge for extensions of the listing. On other listing packages we charge $199 for a 6 month extension. 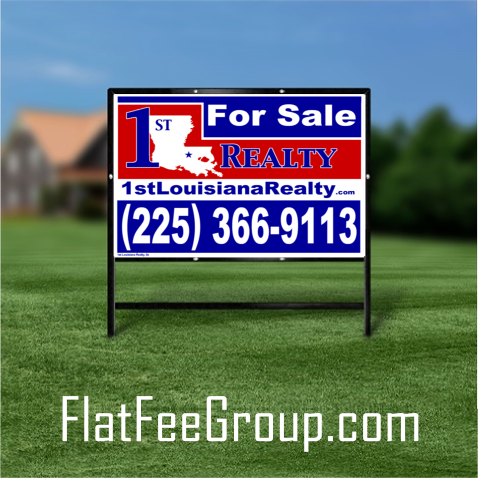 Flat Fee MLS Listing in Darrow Louisiana is the practice in the real estate industry where a seller enters into a listing agreement with a real estate broker who accepts a flat fee rather than a percentage of the sale price for the listing side of the transaction. The buyer's broker is still typically offered a percentage though that could be a flat fee as well. A discount flat fee MLS brokerage typically unbundles the services a traditional real estate brokerage offers and list the property for sale in the local multiple listing service (MLS) a la carte without requiring the seller to use its services for valuation assistance, negotiating, transaction management and showing accompaniment. Flat Fee brokers are real estate brokers, just like the national brand names, but offer discounted or unbundled services. Most flat fee brokers do offer full service brokerage services. In the Darrow Louisiana MLS ®, the listing agreement between the Darrow Louisiana real estate broker and the property owner typically requires the broker to enter the property into the MLS and provide other contracted services, with the broker acting as what the traditional industry has coined a "limited service broker". However, the flat fee industry prefers the term a la carte broker because the services are not limited. Instead freedom of choice is expanded to allow sellers to pick from a menu of services. For Sale By Owner MLS Darrow Louisiana ( Multiple Listing Service) is not different from traditional real estate brokerage services. Because the MLS requires a listing agreement between a real estate broker and property owner, the rapid explosion of discount flat fee service providers has created a gap in the States developing laws governing flat fee services provided by real estate broker.